Then I started reading the stuff that mattered. It’s been a few months since I’ve been out of rehab and clean. I now weigh at 273, my body fat has dropped from 35% to 27% and I’ve put on 7 lbs of muscle so far. My target is 230 with 12% body fat with 30 lbs of muscle. I’m getting there, feeling great, eating much like you described and well I’m my way. Your story will serve as motivation for me to keep doing what I’m doing. I am impressed and I will admit it, a little inspired. I’m in my 9th week of a heavy fitness regime and seeing what you’ve accomplished helps stay the course. I’m not a video game player, but this story gave me a kick in the pants. I shrugged off a workout this morning. I had sort of lost that drive to turn myself into a superhero, BUT this story has given me that drive back. This is definetely something I will be printing out to keep as a reminder. I read this at work on CNN just a bit ago. 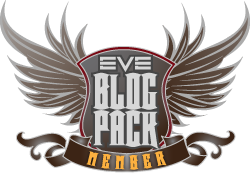 I use to play EVE Online. I’m really overweight and this made me feel better in that I am pretty sure I can do this too. It goes on and on. There are those that get it. Those that understand why I do what I do, why there was an article in the first place. I am motivated by you. I am inspired by you. Thank you for the awesome privilege of allowing me to be part of your journey. I am proud of you. This helps me in ways I am to choked up to say right now. Thanks Roc. Knowing I’ve helped you makes it worthwhile. Maybe one day soon you’ll share your success story. I look forward to that. Don’t let the bad responses phase you. Do what YOU need to do to be happy and fulfilled. Have to admit I started following you for the EVE stories but your fitness challenge is a huge boost to your other followers too and I’ll freely admit I also read you othet posts even if I don’t have the same fitness drive. Hey Roc, you just keep right on doing what you’re doing, it is evidently working brilliantly. Don’t let any that get to you, if bloody Jesus had a blog and twitter and posted about his activities he’d get flamed incessantly! Following your tweets and been reading your blog for a fair while now, and you’ve really helped me build and maintain a healthier lifestyle and better physique. Keep it up, can’t stop the Roc! You definitely can’t stop the Roc. Thanks for the words of encouragement. I appreciate it. Congrats on your own progress! It’s an exciting journey. Who could possibly hate Roc? I could never understand those people. Keep up the great work, mate! No should hate the Roc lol. As always, keep up the good work Roc. Glad to see you, and EVE by extension, getting some good publicity in.